Sky Q was already the best viewing experience money could buy and now, with Netflix seamlessly integrated into its UI, it has powered even further away from its rivals. 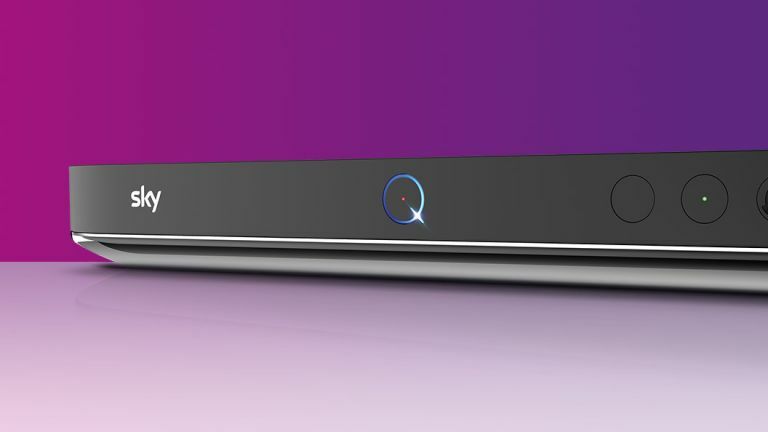 With an unparalleled 4K offering, fast and powerful hardware, and an incredibly slick UI that makes finding and consuming content a pleasure, the Sky Q ecosystem delivers top-of-the-range entertainment brilliance. 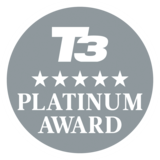 Welcome to T3's official Sky Q review. We've re-reviewed Sky's flagship entertainment package after its Netflix on Sky Q integration late last year, and what follows is an in-depth breakdown of the service. In our original 2016 Sky Q review we said that "it's futile to deny that Sky Q is brilliant" and that it "takes TV watching to another level". We also said it would "only get better" and, after firing up its own UHD 4K content offering and then, recently, striking a deal with Netflix so its vast content bank, too, could be directly integrated into Q's user interface, we stand satisfied that we called it perfectly. Sky Q has gotten better since launch, much better, and here we explain how, as well as why we feel it is the best TV entertainment service on the market today. This Sky Q review covers everything you need to know about the service and Netflix on Sky Q, from its price and availability, through hardware and controller, and onto its content selection, apps and features. There are two different types of Sky Q box available, and a wide-variety of content subscription options. Sky Q and Netflix on Sky Q are available right now, with the latter launching in late November 2018. Sky Q setup costs vary depending on which box you plump for and whether or not you opt for a Multiscreen subscription. If you decide on the standard Sky Q 1TB box then you have to pay a one-off setup fee of £20. If you want the 2TB Sky Q box though that raises to £199 without a Multiscreen subscription or £65 with one. Sky Q Multriscreen costs an additional £12 per month, and extra Sky Q Mini boxes ring in at £99. If you are already a Sky+ customer, the setup fee for Sky Q is £199. In terms of monthly content subscriptions, there are three different base packages you can select from. £20 for 270 channels, £32 for 300 channels and over 4,500 episodes of children's content, or £38 per month for 350 channels, the kids' programming and access to 350 box sets on demand. On top of these base packages are add-on subscriptions to Sky Cinema and Sky Sports, which cost £10 and £20. In terms of price, Netflix on Sky Q is available through a new content package, Ultimate on Demand. Ultimate on Demand is an additional £10 a month for all new and existing customers alongside their Sky Q subscription. Ultimate on Demand is available on a 31-day rolling contract, and can be easily signed up for through the Netflix app on Sky Q. Once a customer has signed up for Ultimate on Demand, any existing Netflix account is then automatically moved payment-wise into the new Sky Ultimate on Demand package, meaning that users stop paying the singular Netflix fee and now just pay for Ultimate on Demand. If a user wishes, though, they can keep the two payments separate, although then they will end up paying £2.99 more per month overall. To be very clear, though, that £10 fee for Ultimate on Demand includes a subscription to standard Netflix. If you want Netflix Premium integrated into Sky Q, with its 4K streaming and various other perks such as the ability to run 4 streams, you need to be a Sky Q Experience subscriber (and have the 2TB Sky Q box), which is an extra £12 a month outlay on top of Sky Q Entertainment and Ultimate on Demand subscriptions. So, simply put, there are two tiers for Netflix on Sky Q: Sky Q Entertainment customers who subscribe to Ultimate on Demand and get standard-definition Netflix integrated into their TV box, or Sky Q Experience customers, who get the 4K Netflix Premium integrated via Ultimate on Demand into their TV box. One last point to mention is that if you have the non-UHD Netflix integration into Sky Q, then if you launch the system's dedicated Netflix app you can still stream Netflix content in 4K providing you have a Netflix Premium subscription. Installation of Sky Q was incredibly straight forward in my home, although I already had a satellite mount on my semi-detached house. By the normal standards I have gotten used to in my adult life when getting TV services installed in my home, the Sky Q experience was very standard, with the entire system up and running within 35 minutes. To be clear here, though, I did already have an old satellite dish and mount on the rear of my semi-detached house, so all the engineer had to do was remove the old dish and then mount and align the new dish on the existing mount. This, I was told, reduced the amount of drilling and work that was necessary, so I imagine on properties without an existing setup will take longer to get up and running. Dish in place and Sky Q 2TB box hooked up to my house's existing cabling system (again, an installation time save) and my 4K Samsung TV via HDMI cable, setup then proceeded quite simply via a combination of wizards and easy-to-digest options menus that allow you to setup your account (customers receive a box card and account information in the mail prior to setup day), as well as select things like resolution and parental safety options (PIN code). You can view and manage your Sky Q account directly through the Sky Q box, too, once setup is complete. Regarding the migration of my pre-existing Netflix account onto my Ultimate on Demand subscription, I can confirm that the whole process takes less than 5 minutes and is handled automatically by Sky and Netflix. Simply opt for Ultimate on Demand and then login with your Netflix account details and it is then transferred over to your Sky bill and your original Netflix bill is automatically cancelled. This is exactly how this process should be handled. The new Sky Q remote features touch-sensitive navigation arrows, meaning you can swipe to navigate as well as press. The latest Sky Q remote retains the same rough design as previous Sky remotes but has shaved a good deal of the bulk of the handset. The major feature that will standout to users not familiar with Sky's current offering is its touch-sensitive navigation functionality, which allows navigation of Sky Q's menus through a series of swiping gestures rather than a series of button clicks. So, for example, if you are in the left-hand positioned menu hub, by simply swiping right on the the navigation wheel then the top menu you hovering over (say TV Guide) will then slide open and out to the right, allowing you to peruse the guide's channels by then stroking down or up on the touch wheel all the while not actually pressing any buttons. To be very clear here, though, you can still simply press navigation buttons to navigate if you wish. However, after a period of acclimatisation (I found I accidentally entered menus I didn't want to be in initially as I hadn't got used to the sensitivity of the scrolling) I can confirm that it is faster to navigate without having to press a button each time you want to progress through a sub-menu to the content or options you want to access. Aside from that the other highlight feature on the remote is a side-mounted voice input button. Press and hold down the button and a search box appears on the TV screen where you can then simply say what you want to search for. This is the same sort of voice search functionality that I very much rated on the Now TV Smart Box and works really rather well. You can search for genres, titles, actors, directors, ratings and more as well as combine search terms, too. The truth is that the voice search is actually the fastest way to get to most content as well. While watching the David Attenborough nature documentary Africa, for example, I frequently just picked up the remote and said "David Attenborough Africa" and was immediately taken straight to the show. Of course, I could also of accessed this by going to Recordings then Most recent and then selecting the show from there as well, but that way ended up being a fraction slower. Obviously, the voice search is excellent for quickly exploring Sky's selection of content, much of which you may not be aware of. Lastly, I was impressed to see that the Sky Q remote can turn not just the actual box itself on and off, but my TV also, which is synced wirelessly to my 7.1 Samsung soundbar. This meant that with one button press (hold down) the screen, speaker and Sky Q box could be actuated as one (you can also just turn the box on and off independently with a tap press). Sky Q's content, be that from Sky or from Netflix, is arranged on heavily pictorial content rails. Turn on the Sky Q system with Netflix on Sky Q enabled and, seamlessly, the entire content library from Netflix is integrated into the user interface's content selections. These content selections are arrange via content rails, with show and movie artwork lined up alongside each other. This content is adaptive to which Netflix profile is selected and also to any parental locks that have been placed on it. So, for example, if you have a kids profile and select that (a process that simply involves clicking on the profile picture in the Sky Q menu and then switching to the one you want) then the content filtered through from Netflix will be restricted to that account. Switch back to an adult or, say, family profile, and the content rails get repopulated with shows and movies tailored to that profile and its viewing habits. Naturally, alongside browsing the content rails, or selecting a specific one from the menu's side bar, you can also use integrated text search to find a specific show or movie quickly (apparently voice search functionality is coming down the road). With the Ultimate on Demand package enabled, Netflix and Sky content appears side by side in the system's user interface. Selecting a Netflix show from a content rail, which range from genres to more specific recommendations based on a user's tastes, and it immediately takes you in to the show/movie page where you can then launch the content, which streams directly as in the dedicated Netflix app. Press the Home button on the Sky Q remote from a Netflix show and you are returned to the Sky Q homepage, whereas if you want to back out of the content to Netflix itself you can press the left direction button on the remote. In terms of watching Netflix and Sky content on the go, I can confirm that while content mixes in Sky Q, titles available to download can only be watched through their origin maker's app, be that Sky Go or Netflix. So a migrated Netflix account into Ultimate on Demand still grants you access to both content suppliers shows and movies, but you have to watch them on the go through one or the other app. My overall takeaway from this Netflix integration is very positive. Basically every device under the sun now runs some form of the Netflix app, however the multiplication of devices in my house is not something I necessarily want. If I can streamline my content subscriptions to run through one piece of hardware then that is the ideal and here, at least in part, Sky and Netflix have made a big step forward for the new streaming-based content industry. If Sky could also strike a deal with Amazon, too, for this style of integration I would be seventh heaven, with Sky's, Netflix's and Amazon's content all accessible through Sky Q's best-in-class electronic program guide and user interface. Fingers crossed for future developments in this, as too expansion of the system's voice search functionality to include Netflix titles too. There's a wide-variety of sport shown every day in 4K UHD on Sky Q, ranging from football to darts to cricket. One of the areas where Sky has been absolutely killing it over the past couple of years has been in its top-tier selection of 4K content, both in terms of live sports and in terms of UHD movies. And, after a month of watching 4K footy (I'm an Arsenal fan for my sins so things haven't exactly being great!) as well as plenty of 4K movies and TV such as Blade Runner 2049, Baby Driver and Discovery of Witches (Matthew Goode, right?) I can confirm that Sky's selection here remains first class. Accessing both 4K movies and sport requires you to go through a dedicated UHD sub-menu within the relevant top menu, which at first kept throwing me though. It's not rocket science, but when you've spent your entire TV watching life accessing content through a system's TV Guide, I found it initially hard to break the habit, which naturally left me staring at a lot of sport or movies, sure, but not the 4K UHD movies I was looking for. So, for example, the fastest way to access Ultra HD sport broadcasts on Sky Q is not to go into TV Guide and then Sports, but actually to scroll down on the top menu to Sports and then go into the Ultra HD sub-menu. Again, a small detail, but one I feel worth noting in this experiential review. Of course, on top of all this 4K sport, movies and TV, with a 2TB Sky Q box and an Ultimate on Demand subscription, you also then get Netflix's 4K content added in to your offering as well, which literally adds hundreds of more UHD TV shows and films. This combined selection is simply the best-in-class 4K content offering on the market today, although I do feel Sky Q's current lack of support for HDR is something that leaves a little to be desired and hopefully can be addressed soon. Sky Q's user interface is incredibly image-led and visually very attractive. As mentioned above, Sky Q's user interface and electronic program guide is based on a rails structure that puts visuals front and centre. So many systems that I have tested to date never seemed to understand that presenting people with a messy wall of written information and numbers does not a pleasant browsing experience make, so I have to say I found this approach from Sky very welcoming indeed. Shows are displayed with large rectangular images grids on any menu page, with large banner art often appearing in the top right hand side of the screen when a show is hovered over. If you want more information on the show then it is there when you click in. This images on rails approach works perfectly in sync with the aforementioned touch-sensitive, slide to navigate control scheme on the Sky Q controller, and I found rattling through content horizontally and vertically a silky smooth experience. The Sky Q system also makes it easy to browse shows while one is already on, as a small window showing the program is constantly displayed in the menu's upper left hand corner. Sky Q's TV electronic program guide is clear and very easy to navigate. Neat features like automatic series links capable of being created for you when you start to watch a couple of episodes of a show also make it very easy not to miss shows you either definitely want to watch or potentially might want to watch. The hassle of digging into menu systems to set the series to record can be just taken off your plate, which with the Sky Q system's ability to record so many channels simultaneous (the 2TB box allows for six channels to be recorded simultaneously while a seventh is watched live) and then store that content on its capacious hard drive, is just the ideal outcome in my opinion. I also appreciated how content recommendations for me were woven throughout the user interface, which take the form of both new shows that I might like based on my viewing habits, as well as the next episode of a series I had already started. Unlike some services that I've used, where I feel these recommendations have been massive mismatches for me and based more on what the content provider wants to advertise rather than what is right for me, I feel the algorithms deciding what content to recommend me on Sky Q are far more advanced and how the content is displayed is more intelligent, too. Sky Q grants you access to a good selection of top-tier apps, however Amazon Prime Video is a notable absence. A quick scroll down to the apps section of the Sky Q user interface reveals a selection of many of the most popular audio-video content delivery apps going right now, including Netflix (for those who don't have Ultimate on Demand integration or want to browse for some reason in Netflix's own app), Spotify and YouTube, among others. Naturally, as an Amazon Prime Video subscriber (my partner simply loves Outlander) the inability to even access Prime Video via app is a small annoyance, even though I do totally appreciate that this is the very definition of first world problems. Switching on my Xbox One X and firing up the Prime Video app on that takes but 30 seconds, say, so it's hardly a deal breaker, however after seeing first hand just how neat it is to be able to access all my subscription content from Netflix and Sky directly through its UI it felt a tad disappointing that I had no option whatsoever on the most premium TV service going today. With Sky Q's top-tier entertainment package you get a simply monstrous amount of streamable box set, movie, kids and TV show content. In terms of downloadable/streamable content, providing you have Sky Q's top subscription package (detailed above) then you have a simply massive amount of content at your fingertips, and if you plump for the 2TB Sky Q box, then you have a simply monstrous amount of local storage space on which to store and watch it. Going back to my love of David Attenborough nature documentaries, for example, alongside Africa Sky Q had over 10 other documentary series box sets featuring the great man, which is literally hours and hours of top-rate infotainment. And that was just one specific person and one specific type of content. My daughter, for example, soon got lost in a massive amount of on-demand children's content such as the wacky Teen Titans Go! and, as the Sky Q system automatically starts downloading the next program in a box set while you're still watching the first, never had any issue immediately jumping onto the next piece of content. Indeed, in many ways the Sky Q system is too slick for its own good, as it makes blasting through content almost too easy, and especially so for cheeky children who will keep watching until Ragnarok if you allow them - but then that's on the parents heads. Personally I found the high level of autonomies built into the Sky Q service just fabulous. The less I have to remember to do, worry about, or mess around setting up and actuating the better - I just want my system to entertain me and make that process as simple as possible, which more than any other system I've tested to date is what Sky Q does. Sky's very strong cinema content selection impressed me on review. During my month testing out Netflix on Sky Q for this updated Sky Q review I would be lying if I didn't say I was very, very impressed with the system and the overall viewing experience. Indeed, I can quite honestly say that Sky Q is the best TV service I have ever reviewed. Its combination of best-in-class content selection (both in terms of 4K UHD and Full HD media), best-in-class user interface, and best-in-class features and options makes it by some way the greatest entertainment system going today. Connected to a quality 4K TV and with all its Sky and Ultimate On Demand Netflix content cannons firing, Sky Q is an absolute joy to use and when put up against rivals like the Virgin V6 TV Box there's simply no real comparison — Sky Q wins every time. Netflix on Sky Q integration takes the whole Sky Q package to an entirely new level of quality. Of course, to attain this best-in-class viewing experience you have to pay for it, and with a sizeable up-front cost and then high monthly cost that rolls over the hundred pounds mark for absolutely everything, there's also no doubting that max-package, Netflix-integrated Sky Q is a serious investment. However, I honestly can't say it isn't worth it — Sky Q with integrated Netflix really is a wonderful thing for lovers of quality content and, in the real world, a premium product such as this should retail for a premium price point. That's all there is to it. You have to pay for the best, and this is it. From watching 4K UHD live sport and Hollywood movies, to entertaining my daughter with episodes upon episodes of Teen Titans Go!, and onto catching up on all of Netflix and Sky's hottest new TV shows such as A Series of Unfortunate Events Season 3 and The Affair, Sky Q delivered for me on test unlike any other service I've reviewed and, as such, find it very easy to recommend.